Most of my heroes are dead. The Countess of Huntington (1707-1791). William Carey (1761-1834). Jarena Lee (1783-1864). Adoniram Judson (1788-1850). 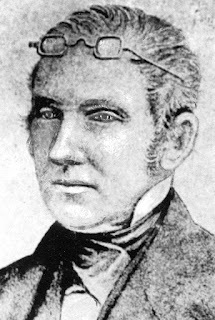 Evan Jones (1788-1872). Epaphras Chapman (1792-1825). David Livingstone (1813-1873). Charles Spurgeon (1834-1892). Henry M. Stanley (1841-1904). They're all gone, only to be met in eternity. It's best for our Christian heroes to be six feet underground before stained glass windows in their likenesses appear six feet above ground. One of my heroes, Indian missionary Evan Jones and his son John, are called "Champions of the Cherokees" by historian William G. McLoughlin in a book of the same title. In reading this week about Evan's work among the Cherokees in the mountains of southwest North Carolina, I came across an interesting observation made by the missionaries. A great revival broke out among the Cherokees beginning in 1828 and lasting until 1832. Many Cherokees abandoned their native spiritism (adonisgi), and placed their faith in Christ. White missionaries among the Cherokees included Moravians, Congregationalists, Methodists, Baptists, Anglicans, and Presbyterians. All of them, regardless of denomination, saw the Lord add to their churches. 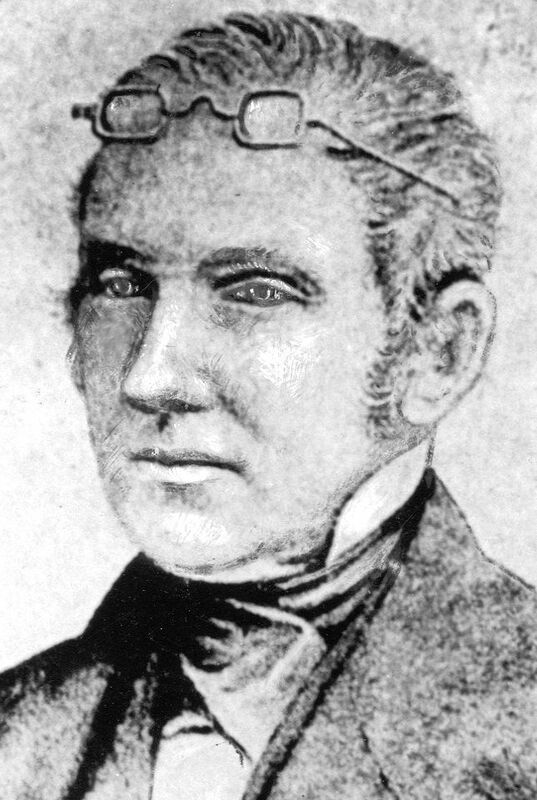 Evan Jones made the observation that the differences among Christians mattered not among the Indians. Everyone who named Christ as Lord was a Christian to them. 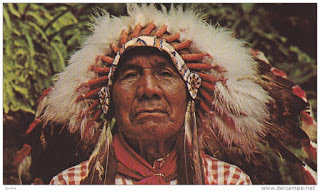 No savage shaman who sought to scalp a saint separated the selected sacrifice by sect. "The greater my concern over the errors of saints with us, the less my compassion over the eternity of sinners around us." "Making a secondary thing primary in ministry will result in Jesus Christ being secondary in message." Enjoy the 4th of July however you celebrate! I'm thinking it may be time for Cleveland's Corollary to Murphy's Law: "Anything we can find a way to get wrong, we will find a way to get wrong". And O'Toole's Corollary still applies: "Murphy was an optimist". Is it possible to remove from the stain glass in SWBTS chapel the pictures of Patterson and Pressler? Once, I heard a pastor preach his whole sermon on the importance of memorizing Scripture. When he finished, he had everyone to stand. Judy didn’t hear the sermon because she was in the nursey and stayed until the parents came. I don’t know what happened because I left as soon as all eyes were closed. I noticed our SS teacher was ahead of me. "Is it possible to remove the stained-glass windows from the SWBTS?" It's a matter of when. To whom may we attribute the quote: "The greater my concern over the errors of saints with you, the less my compassion over the eternity of sinners around me."? You know in your heart Trump said that as a joke to illustrate the loyalty of his fans’. It’s easy to see the columnist you quote has drank Kool-Aid. Do you watch CNN, Fox News, or both? You know Obama hated Fox news. I believe one reason why Hillary lost was that he endorsed her. My wife records “Outnumbered” as her favorite show. It consists of 4 women and 1 man. The women are two Republicans and two Democrats. There are a lot of different men as the guest. They may be R. or D. They discuss and argue current events that are about politics. It seems to me that the Bible has a number of groups who were worried about being correct above being relational to reconcile with God. Everyone one of them seems to be out of favor with God. Maybe instead of theological purists we need to err on the side of reconciliational activists. "Maybe instead of theological purists we need to err on the side of reconciliational activists." Maybe some preachers should spend less time on entertaining and more bragging on Jesus. It seems that Christians are continually arguing about how many angels can dance on the head of a pin, and refusing to fellowship with those who come up with a different number than they do. What an incredible waste of time. We have so many more important things to be doing. If you were asked by your pastor to memorize a verse of Scripture each week, how would you reply? I would have not raised my hand, and I would not have gone to the front row. Then, I would have began looking for a new church where the pastor did not use cheap tricks to guilt the congregation into doing something. Memorizing scripture is certainly a worthy activity, don't get me wrong, but manipulating the flock into making a commitment to do something is not. I wonder how many people who did raise their hands actually memorized a new verse more than a couple of weeks. I seem to remember that Jesus said that a person who performed their spiritual activities in public for everyone else to see was just fooling themselves. Those folks may have impressed those around them with their spirituality, but I doubt that the Lord was terribly impressed. He knows our hearts. He knows what we do and think when no one is watching, and He loves us anyway. Wondering if you about to post on this....very concerned that this has moved to a war between the donors. Hold on. It will be a doozy. This story, got a Gold Star at Austin College in Sherman, TX. In December 1954, I was twenty-two and a senior at North Texas State University at Denton, Texas. I worked a 40 hour week on a graveyard shift for a dollar an hour. I rented a house, and since our parents taught school in Alaska, my sisters (ages 14 and 16) lived with me. I paid $50 for my only motorcycle – a 1947 Indian Chief. Riding “Chief” exhilarated me. The 422 miles took seventeen hours because some would call Chief a pile of “junk”. Many things kept coming loose and the chain had a habit of ‘coffee breaks’. Or maybe it was because of an amateur mechanic. Knocking on her uncle’s door at ten o’clock that night, I think I was more surprised than Betty when she introduced me to her boyfriend. I told them Chief broke down ten miles out of town and I had hitchhiked. They got a flashlight for me to see how to fix it. Chief’s light wouldn’t work so I followed them. I didn’t dare ask Betty to ride with me because I got the feeling both wanted me to vanish. There was only one extra bed—I shared it with him. We didn’t talk much. I got the light working, but had to hold it in place. That caused me not to be able to hold the gas grip on the handlebar. I’d set top speed with the gas grip and then grab the light. I came to a town but couldn’t slow down because the GAS GRIP HAD FALLEN OFF. I was dumb struck. I hit the brake but it did no good against the strong motor. I couldn’t cut the motor off because the switch cut the light off. When I could see by street lights, I cut the lights and motor and barely got slow enough for a left turn. Wrong. There’s nothing exciting about being unconscious. Flying over the railroad track caved the front wheel into half a wheel. I wish I’d been thrown clear but Chief was on top of me. And worse, Chief didn’t die until it ran out of gas. Two hours later the motor was still hot. The muffler roasted my leg nearly to the bone. Tall grass had me hidden, but the LIGHT WAS STILL BURNING. The light may have saved my life because that’s what the wife of a motorist saw and got her husband to go back and investigate. They got a gas station attendant to help remove the heavy monster. They got me awake and asked a lot of questions, but all I knew was my name. A doctor said he would charge only $100 to treat me as an experiment since he had never seen such a deep burn. He did a skin graft and changed the dressings every other day for over a month. Leaving the hospital, I was on crutches a month. Without his help I may have lost my leg. The accident disqualified me to be a pilot in the Air Force. After graduating at NTSU, I received a teaching certificate at Austin College where I met my wife to be, but she wouldn’t ride with me on Chief after I’d fixed it up. Eventually my parents returned and pressured me to sell Chief. I failed to sell it for $100. My father asked to sell it. (He had paid the hospital bill, and had almost lost his fingers going through a barbwire fence on a motorcycle.) He sold Chief for $10. I never rode a motorcycle again and I never did any more surprises. AWESOME STORY, Rex Ray . . . one of your best! I can 'picture' the whole story as I read it and oh my goodness does the Good Lord take care of you! What is it with guys and motorcycles? In my family, it was Cousin Sandy who rode a Harley with her "gang" (motorcycle club) on weekends. She LOVED it! I hope you NOW have a nice luxury vehicle that is loaded with safety features all around. Dumb luck doesn't last, you know. What a story! Be sure to share this story with Wade's father who has a picture of himself on a motorcycle on his blog! When I'm out driving, and I see some young kid go roaring past on a motorcycle, I always make a quick sign of the cross and say a prayer for his/her protection. The 'vulnerability' factor on those things is way too high for anyone with sense, but the sheer joy of it all must outweigh the fear. Bless your heart. I knew if anyone replied it would be you. Yes, same leg but ankle. Started as a venous ulcer and went to cellulitis. Been in hospital 3 times and in 4 years I’ve seen 22 doctors. Had lazier vein surgery, artery surgery, skin graph, hypobaric chamber, and a ton of antibiotics. We didn’t know if I could walk down the isle when we got married. Judy only weights 134 pounds, but if I couldn’t walk she was going to carry me ‘piggyback’ and we’d call it “Sadie Hawkins Day”. Not long ago I was in a wheelchair and a doctor said my ankle looked so bad it looked like something from Star Wars. In three weeks I went back and they couldn’t believe their eyes at the improvement. I was walking without a cane. I said I had started using a salve made from roots in Romania. Our song leader is from there and gave me some. In three days, I went from two canes, to one cane, to no cane. CRYBABY DONORS demands are in newspapers. You threaten to withhold your money unless you get your way in having Patterson reinstated from being fired for breaking the law. You have drunk Patterson’s Kool Aid. You don’t care if SWBTS may be closed for lack of funds. You don’t care if there’s less God called people to carry out the Great Commission. You want to runover the SBC when they voted 90% NOT to do what you want done. You have resorted to BLACKMAIL. To paraphrase your demands: We’re going to bomb SWBTS unless we get our way. Go ahead and do what you want because the Lord will provide more than the amount of your money to carry out His work. Imagine all of these 'supporters' who are 'wealthy' (in the material sense) using their money in 'support' of the person who had fired Dr. Sheri Klouda, who then sold her own blood to help pay the medical bills for her sick husband . . . . I get a headache thinking about this. Avergers888 is well-developed and is guaranteed to be safe from the international casino organization. So you can be 100% sure of the fairness and safety of the casino app. Avengers 888 If you are interested in subscribing to the Avenger 888 app with the HENG555 website, please contact us.